Poor defendants get locked up because they can’t afford cash bail. Here’s an easy fix. The nation’s district attorneys have the power to end the cash bail system. Some of them have started using it. Poor people shouldn’t be stuck here just because they can’t afford bail. It’s a common story in courts around the country: Because of sky-high bail amounts, less affluent defendants are stuck in jail for low-level crimes while wealthy ones can buy their freedom by writing a check. This inequity has been the target of a vigorous reform movement. In legislative action and lawsuits from New Jersey to Texas to California, advocates are passing new laws or hoping to codify legal rights that establish that people charged with misdemeanors shouldn’t be kept in jail only because they can’t afford bail. But there’s a simpler and faster way to end cash bail: Prosecutors can just stop asking for it. Bail is set by judges, but prosecutors have huge influence on the process. When defendants appear for bail hearings, prosecutors are the ones making the bail recommendations. While defense attorneys can request lower bail, the prosecutors’ word tends to hold more weight. The new policy exempts defendants who present a clear public safety risk, Ogg says, including those charged with domestic violence and driving while intoxicated. But in most of the 65,000 misdemeanor cases her office sees each year, prosecutors are now recommending defendants be released before trial. Any requests for bail must be based on evidence in the case. Even if a prosecutor recommends releasing someone charged with a misdemeanor on his or her own recognizance, a judge can still choose to set whatever bail he or she wants. In the first week the new policy was in place, many Harris County judges pushed back on prosecutors, Ogg says, “grilling” them about why they weren’t recommending bail and in some cases ignoring their recommendations. But Ogg—who made bail reform a central issue in her campaign last year—hopes that as judges get used to the rare sight of prosecutors and defense attorneys agreeing on bail, they’ll adjust to a new system. Ogg’s decision comes as the county faces a high-profile class-action lawsuit over its bail practices. The lawsuit was filed by 22-year-old Maranda Lynn O’Donnell, who was arrested in 2016 for driving with a suspended license and spent several days in a Harris County jail because she couldn’t pay her $2,500 bond. O’Donnell is arguing that it is unconstitutional for officials to jail someone for an inability to make a monetary payment. During a hearing in the case this month, O’Donnell’s attorneys played videos of judges callously setting bond amounts without even inquiring whether defendants had the means to pay them. Some of the bonds strain credulity, like $5,000 for someone arrested for illegally sleeping under a highway overpass. Ogg filed a pointed brief supporting the plaintiffs in the lawsuit. “We do not want to administer punishment before the defendant has been adjudicated guilty,” she wrote. “It makes no sense to spend public funds to house misdemeanor offenders in a high-security penal facility when the crimes themselves may not merit jail time.” Lawyers in the case say a ruling could come down at any time. Ogg isn’t the only DA who’s made bail reform a priority. 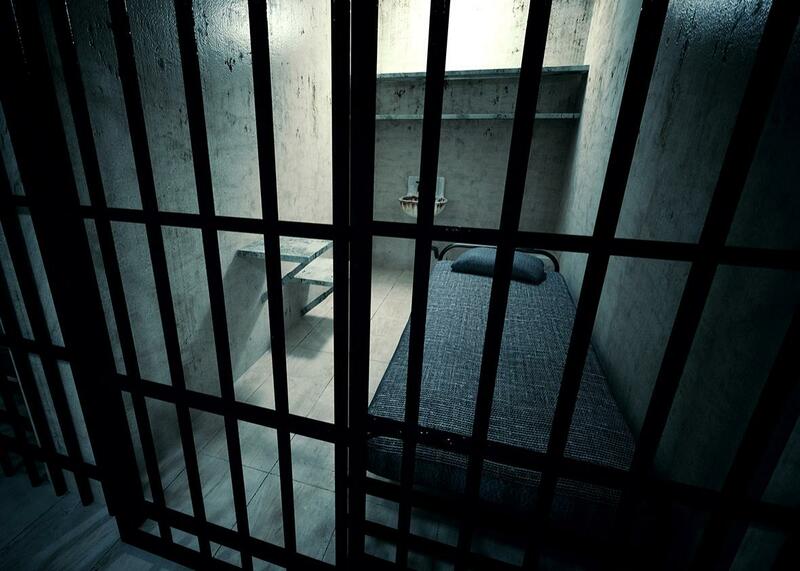 Earlier this month, Kim Foxx, the newly elected state’s attorney in Cook County, Illinois, which includes Chicago, announced her office will support the release of defendants who are locked up because they can’t pay bonds amounting to less than $1,000. In Cook County, 250 to 300 people are jailed every day for misdemeanors under bonds of that value. Foxx said she hopes those defendants will be able to get treatment services instead of languishing in a jail cell. “This is a population who are disproportionately poor and also have some other underlying condition whether it’s a drug addiction or mental illness,” she told the Chicago Tribune. Gascón and judicial officials in California started a pilot program using a computer algorithm to recommend bail amounts based on factors like pending charges and criminal records. The DA’s office says the algorithm has led to twice the number of defendants being released before arraignment. But public defenders told the San Francisco Chronicle last year that some prosecutors still ask for high bail amounts even when the algorithm recommends release, and Gascón hasn’t yet set any kind of departmentwide policy like the ones in Houston and Chicago. Bail reform isn’t just the province of big-city district attorneys. Last month, Christian Gossett, the DA in Winnebago County, Wisconsin, realized that many poor defendants who were arrested on weekends or holidays ended up sitting in jail because no prosecutors were available for a bond hearing; almost 80 percent of the arrestees were released on their own recognizance at their first hearing the next work day. In response, as Gossett explained in a letter to county judges, he waived all appearances by prosecutors for hearings on weekends and holidays, letting judges release low-level defendants right away. But Karakatsanis, one of the lawyers in the Houston bail lawsuit, cautions that even progressive policies like those set by Ogg and Foxx don’t always make it to the courtroom. “It can take some time for the policies of the head DA to sift down” to the lower-level attorneys who actually try cases, he pointed out. Meanwhile, some county sheriffs are also jumping on the reform bandwagon, in part because removing low-level pretrial offenders from their jails saves a lot of money and resources. Harris County Sheriff Ed Gonzalez and former San Francisco Sheriff Ross Mirkarimi have both openly supported lawsuits aimed at ending cash bail. Gonzalez even testified against Harris County in the lawsuit in his jurisdiction, telling the court, “when most of the people in my jail are there because they can’t afford to bond out, and when those people are disproportionately black and Hispanic, that’s not a rational system.” Mirkarimi pointed out that electronic monitoring technologies, which are being used in a growing number of court systems, make it easier to guarantee defendants come to court even if they don’t have their money on the line.